This project has taken me down lots of fantastic new avenues of exploration, but when it comes down to it I still find myself inspired by the small, banal looking objects in the collection, which on the surface look unimportant and yet hold so much history. 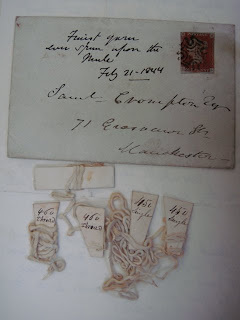 The Samuel Crompton threads being the most excting for me, especially as it was Sharon and I who discovered them nestled in the pile of letters sent from Mary Greg to Mr Batho. How can such a small piece of thread have such a strong presence? It makes you feel as if you are touching the beginings of the industrial revoloution (or am I being too romantic! ).My favourite exhibit at the War Museum North is the small piece of wire from a zeppelin which was sold attached to a crude pin and sold to raise money for the war effort..owning a small piece of something so immense is owning a small piece of history. My love of string isn’t a secret..I think it all dates back to being a Brownie and having to have a piece of string in your pocket for emergencies (I never did have a suitable emergency to use it)..I still collect party popper string from significant events too. I read in a book about Russian cosmonauts that they tied their cutlery to the hull of the space ship with string to stop it floating around..now that is one piece of string I would like to own. There are many items in the Mary Greg Bygones Collection that have a real sense of history of everday life too, used spoons ,small keys, matches and padlocks, and much more to discover according to the records. So I sum up….that is what I love about being allowed to spend time exploring this collection, the hidden gems, keys that on the surface look like clock keys but turn out to be from the Weeks Museum and might have wound a diamond encrusted elephant for an emperor of China. (now my imagination is running riot.). Quick sketches of ideas for cabinet. 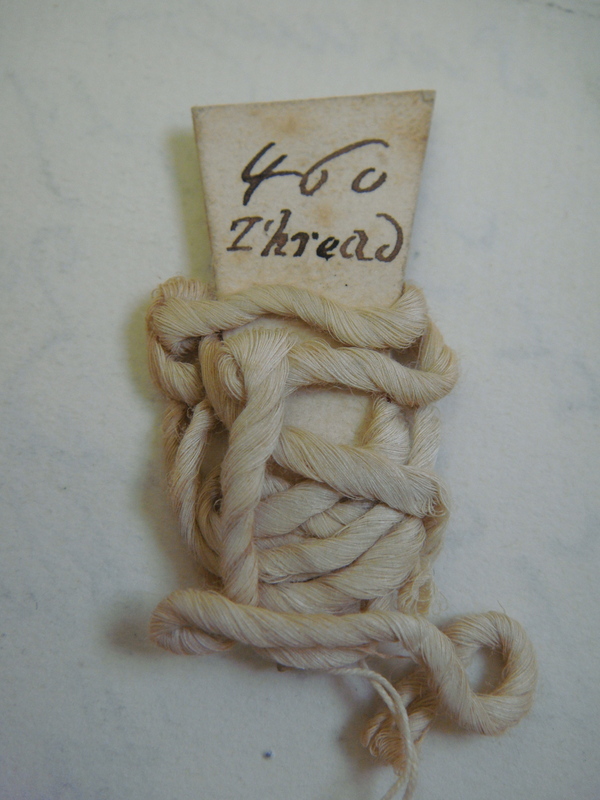 Friday 29th January Sharon and I joined Alex to put the Crompton Threads on display to the public for the first time in history (they where hidden away in Mary Greg’s letters).We have also been able to put a few of our other favourite objects to sit alongside them. We could have filled another cabinet easily. We also have also displayed some of our responses to the collection. 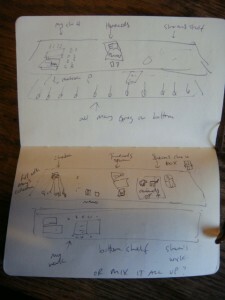 Photos are of of the quick sketches in my train note book..variations on how we could display the objects. Hmm. 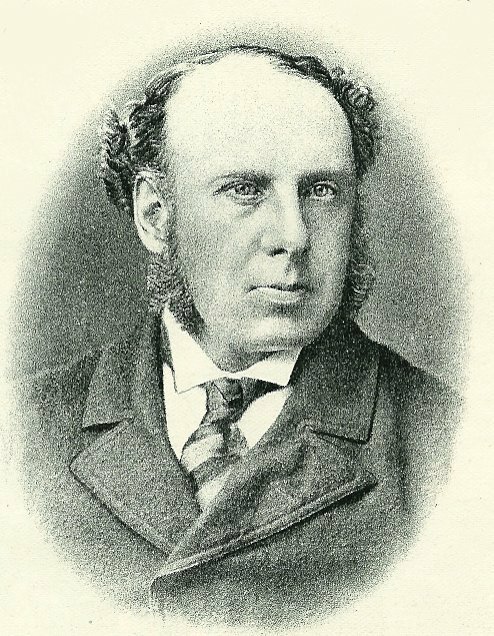 On the subject of Crompton’s cotton threads and their changing status. One minute they’re the first threads from the mule, a truly momentous find, and we’re speechless with discovery. Then the dates prove impossible and they’re still fab, still curious, but we’re slightly disappointed that they’re probably not what we thought they were. Then, hang on a minute, a curator from another museum provides a bit of information and we’re back on – they COULD be the real thing. I really want them to be, I’ll believe it to be true. A curator said so. Well, he didn’t actually, he just gave me a bit of info about Crompton’s grandson. The weight of curatorial responsibility. The source of curatorial anxiety. If I say it is so, then it is so. Museums tell the truth. …a find on a boot sale this weekend. In that moment of discovery, looking through a set of old brown files in the gallery office, we believed we had found something momentous (well, you had). And we had. Something about Mary’s ‘believe me’ really excites me. Somebody spun those cotton yarns a long time ago. Somebody carefully annotated a series of small card tabs and wound the samples around them. And then went home and had tea. Maybe they got sent to Samuel Crompton. Somebody put them to one side, in a box or a drawer, and they became accidental survivors, archaeological fragments of something once real but now out of reach. And then, their potential really opens up. Such humble things become so potent. I love the possibility, even if it’s only temporary and is shot down by research, that they could be the first yarns from the mule. That the reality of what they are is up for grabs. It’s the slippery-ness of story-telling, filling in the gaps between the bits and pieces with bits and pieces of other stories and making it momentarily true. Not a very curatorial response, more a romantic one. Having just looked at Samuel Cromptons history, I wonder if this letter is real. He lived in King Street, Bolton and died in 1827. Mary has a number of items in her bygones collection that have wonderful stories, they give worthless objects excitement and meaning. This idea has always been a main part of my work, I like to take the banal and try and show its importance. Once an item has a story it is like touching history. There is the first shovel of earth they dug when the Manchester ship canal was dug in one museum I visited. Relics abound in religion…there are meant to be so many splinters of the cross. Had a meeting at Manchester Art Gallery yesterday to discuss the Mary Greg Project. Sharon Blakey and I have been viewing Mary’s bygone collection since 2006, and have been looking through the wonderful archive and reading her correspondence with the Gallery. The photo is of one of the many finds, and is my personal favorite. We discovered it whilst reading the stack of letters between her and Mr Bathos at MAG. They are the first threads from Samuel Cromptons Mule. 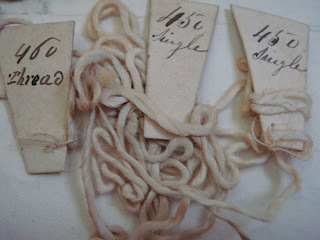 They look like bits of cotton, but these small threads are the start of a great change and have real power as objects.